There’s nothing like a steamy cup of coffee served on a rainy day. We sip the delicious coffee to relieve stress and give our busy selves a break. It’s almost as if our day would not be complete without it. But to perform this pleasurable daily ritual, we need coffee tables. The coffee table is an important piece in adding warmth and vibrancy to your living space during coffee breaks. The right coffee table will complete your ritual as well as your room’s interior design – both providing you a relaxing coffee break. The search for the right coffee table that matches your space’s interior design can be quite troublesome as there are many varieties available in the market. Several factors such as size, shape, style, texture, color, quality, price; to name a few, must be considered before you can make a choice. 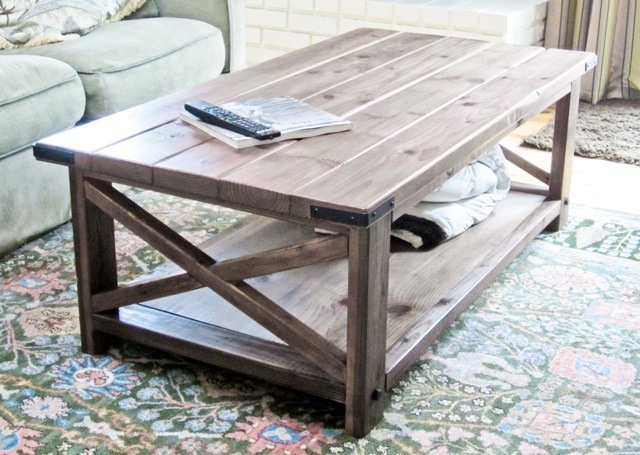 As many experts recommend, your best option under such circumstances is DIY coffee table woodworking projects. Who better to create exactly what you desire and what will complete your vision than yourself? Allows you to control the costs. Making your coffee table allows you to use your own tools and other equipment for woodworking that are normally charged as construction costs on non-DIY products. You are also spared with having to pay for labor and shipping costs – which is a big deal. So you save much by building your own piece. Gives you a sense of fulfillment. Whether you’re doing it as a hobby or out of personal necessity, the fact that you were able to pull this project off on your own should give you a sense of pride and fulfillment. As you can see, there are some good benefits to doing your own coffee table woodworking project. So you should get to working soon! The first thing you need to do is choose the right coffee table plan that works for you. 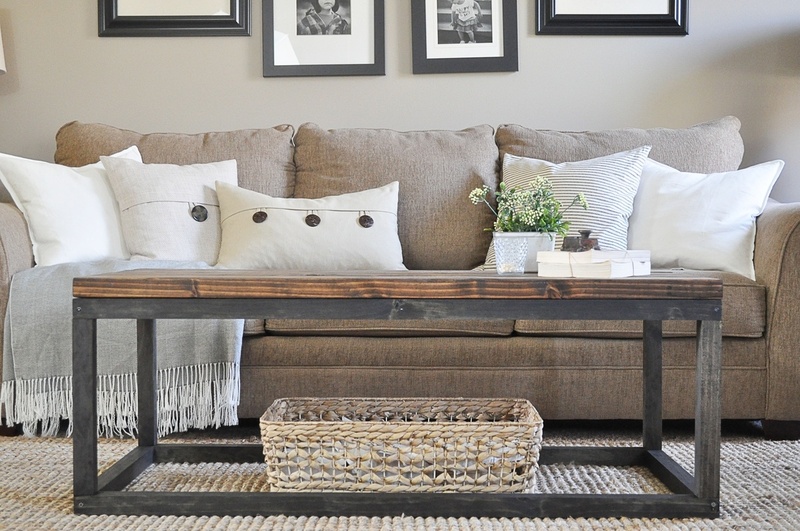 With that thought, we’ve searched for different DIY coffee table plans to help you get started with building the perfect piece for your home. These coffee table plans come in different varieties - rustic, glass topped, modern, or industrial styled, different shapes and colors, etc. Some have more storage space and functionality than others. This gorgeous solid wooden coffee table is heavy, simple and substantial. This comfortable, easy-to-make table is perfect for woodwork – especially with a mailer. It utilizes 1x boards, making it sturdy but lightweight. 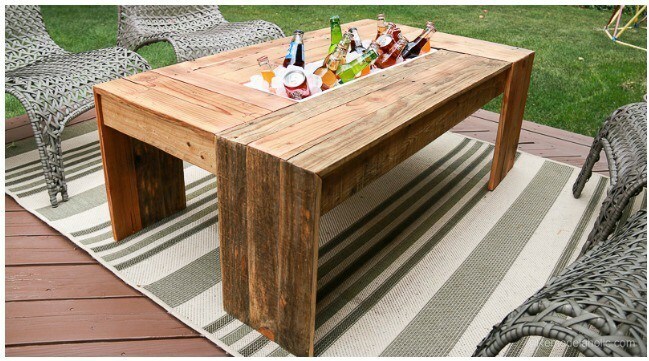 This simple but elegant wood coffee table has a waterfall style leg design and custom-made drink cooler. You can easily create your own by following a building plan. 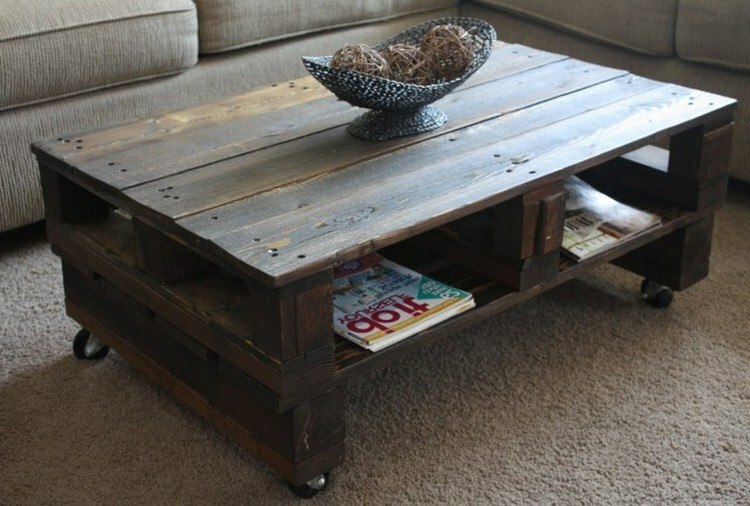 The modern pallet is a fantastic coffee table choice. You can put a modern look at the wooden coffee table’s interior design without having to create a bold contrast. By taking such easy steps as fining the raw pallet accurately, adding glass and attaching wheels, fresh coating paint with a white gloss, your furniture should fit in perfectly well. 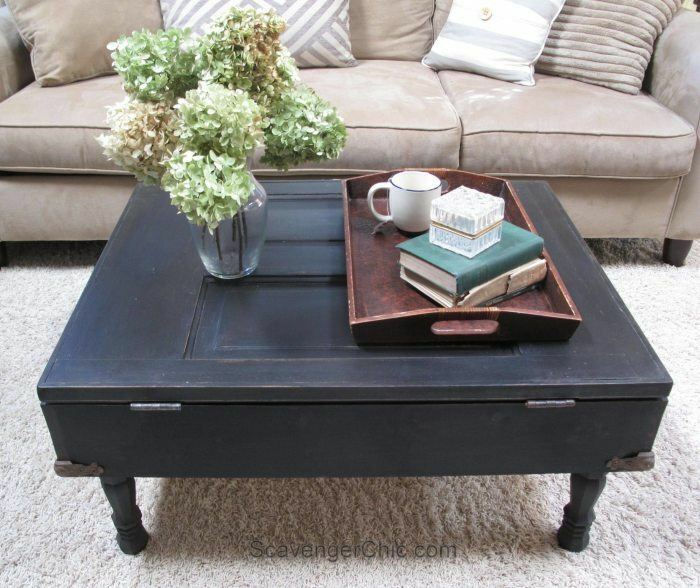 This simple and classic coffee table is easy to build because of the plans. You’d be amazed at the table’s fresh look, especially the characteristic white gloss. With its simple design and classy look, the wooden coffee table is the perfect gift for your loved one. 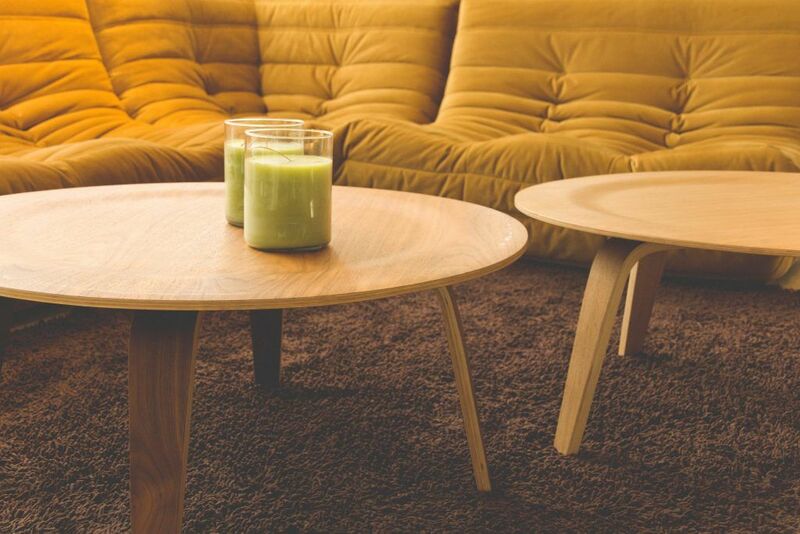 With a glass top, this wooden coffee table is quite stylish. With a tailored acrylic glass top, and utilizing transparency with a clear surface that exposes the beauty of your jewelry or car model collection, you can turn a typical wooden coffee table into classy furniture. 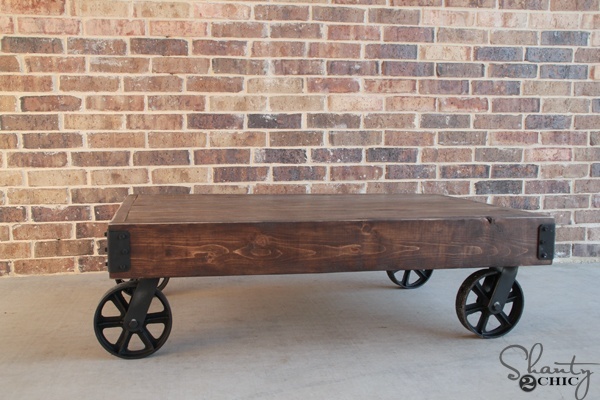 With its simple but shabby appearance, the Factory Cart Wooden Coffee Table was designed to impress. And what’s even more satisfying is that fact that you will build the beautiful thing yourself. Building procedures and colored photos will walk you through the process of creating this elegant coffee table. The apothecary coffee table is among the most useful coffee tables ever. This classic apothecary coffee table will inspire you to create an easy-to-make design using wood. Painting the furniture’s body and washing it out with white will result in an attractive contrast on top of the unprocessed wood. 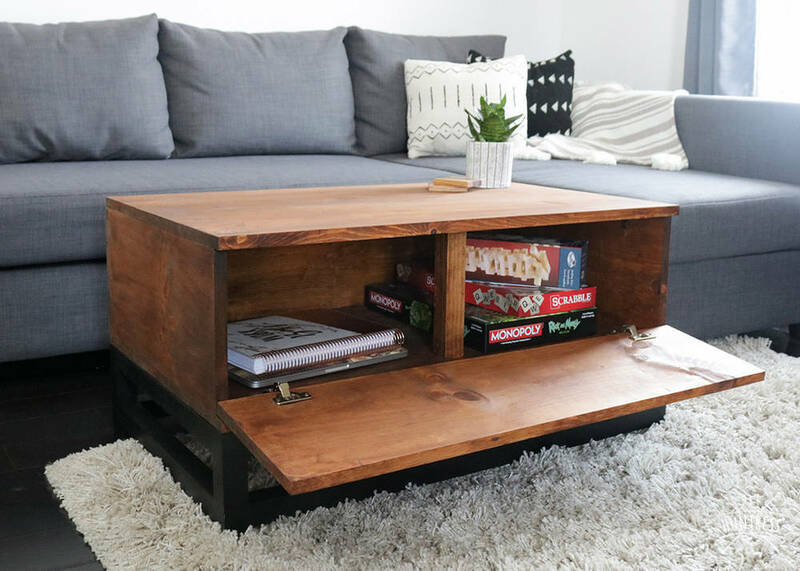 If more storage space is what you are looking for inside your home, then this coffee table project with its two crates could come in handy. The plans for this project contains all the materials and procedures you need to build the coffee table, and you can download it for free. The creation of the multi-function coffee table accommodates for a coffee table, storage unit, and picnic ensemble. 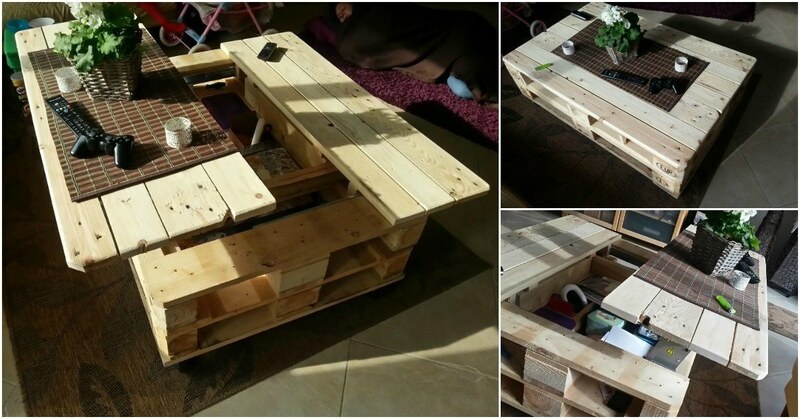 Recycle wooden pallets and turn your creation into a useful piece that will serve you for a long period. 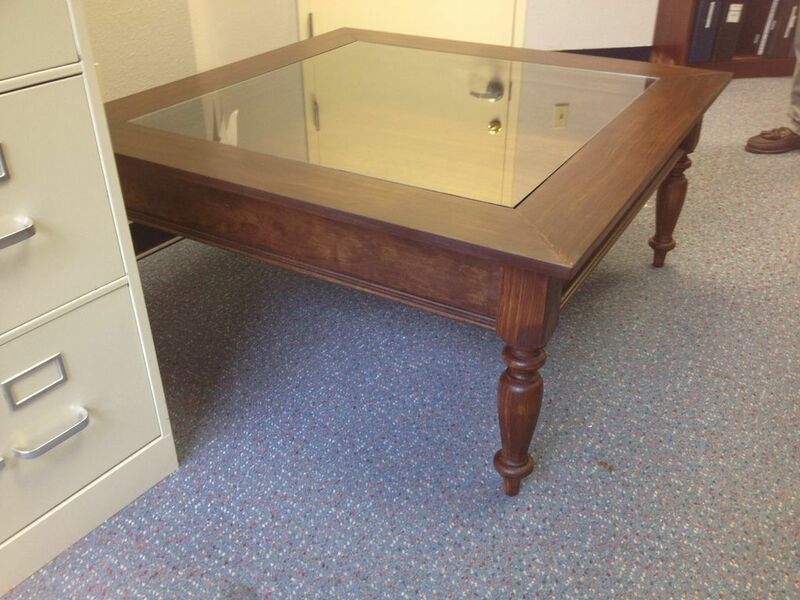 You can use this coffee table for a variety of purposes inside the house. Lowe’s contains a coffee table project that creates a display top wooden coffee table that allows you to showcase decorations and other elaborate items. The plan is complete with instructions, pictures, cutting lists, and project diagrams. 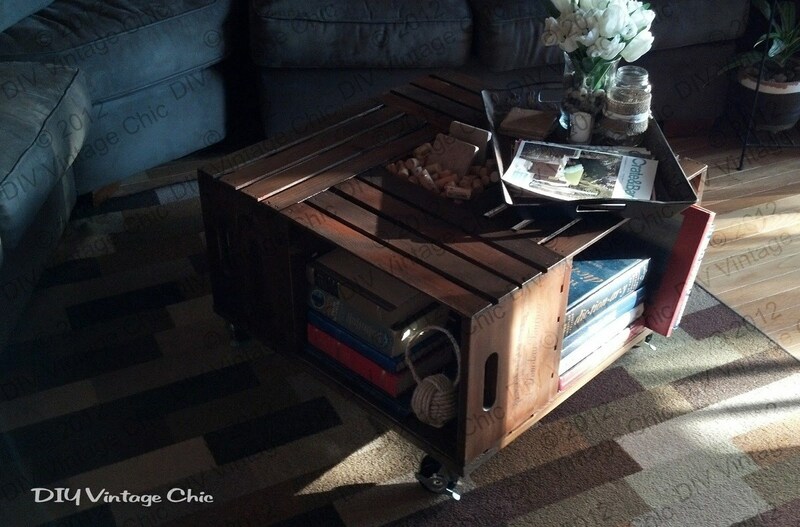 If you want a coffee table project that’s fun and simple, then the coffee table wine crate will serve your purpose. The only requirements here are four crates and a set of wheels (if necessary). Take advantage of the central space in each crate and merge them to reveal a beautiful candle holder or flower vase. This is a unique woodworking project. 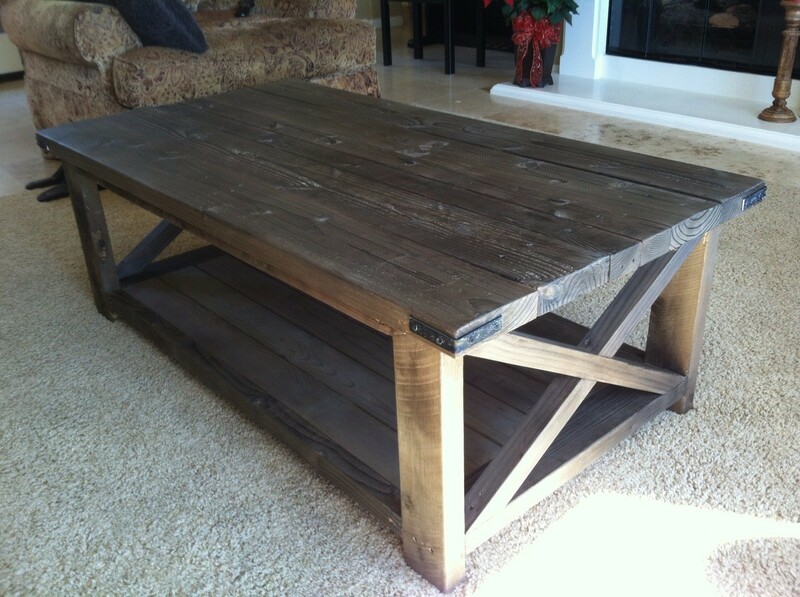 This is a handsome coffee table project that will give you a rustic and durable table in a conventional home. The plan has everything you need – materials, cut list, tools, and procedures. 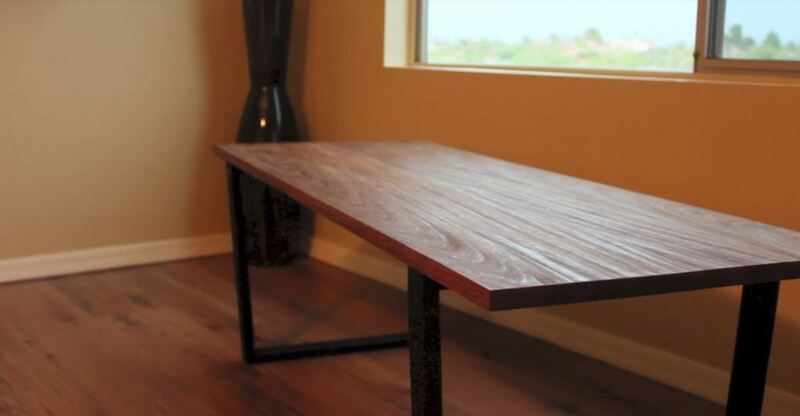 You can build this table in half a day on a tight budget. 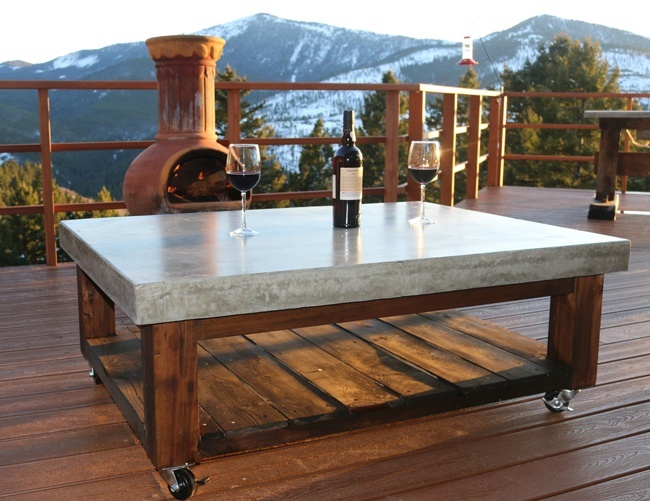 As a building material, concrete can be quite stylish as an addition to wooden coffee tables. Instead of glass or other materials, a flat concrete can be set on top of the table for a unique look. 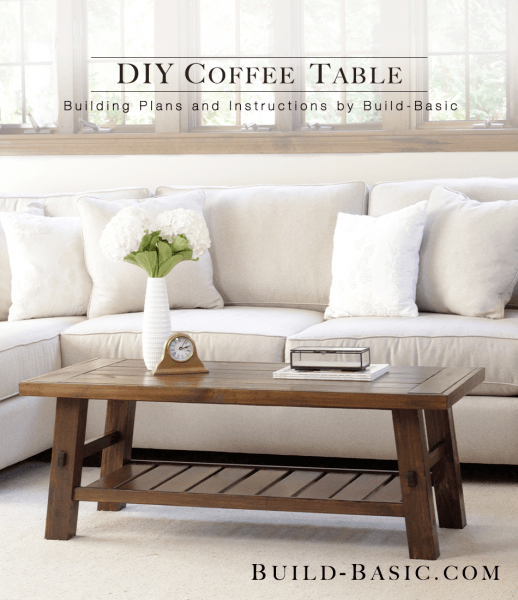 The plan contains all the materials, images, and instructions you need to create this unique coffee table in a few simple steps. 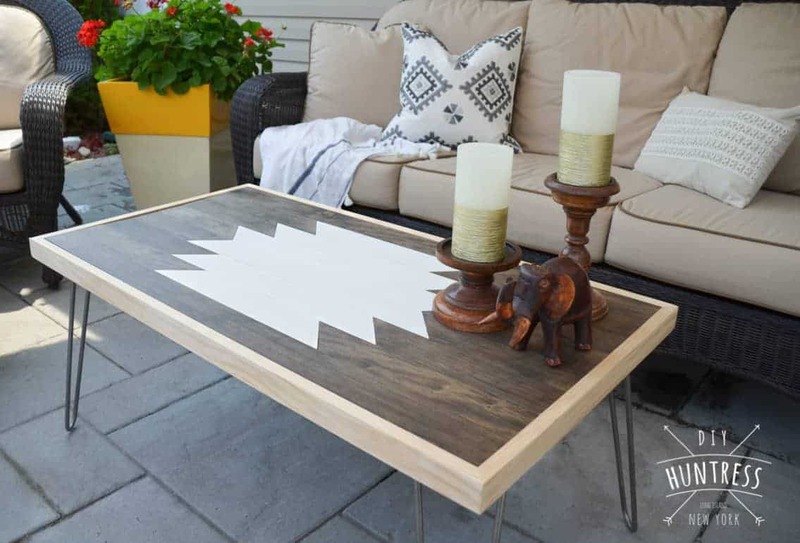 This free coffee table project from sawhorse applies to several styles in proportion to the type of wood or finish you are using. The plan contains all the materials, tools, images, diagrams, building procedures and finishing tips you need to create this dynamic coffee table. With recycled materials making up its frame, these old door tables maintain a natural yet elegant look. If you have unused materials home, then this project will appeal to your creativity and love for nature. Recycling an unused wooden door and transforming it into a good-looking coffee table is an achievement you should be proud of. 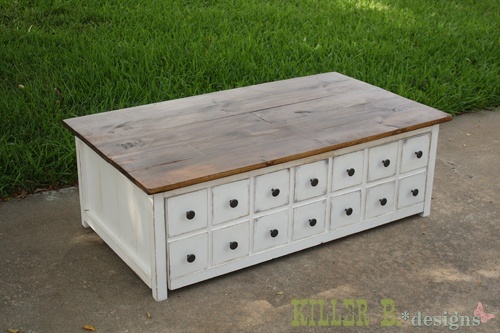 This free wooden coffee table project creates a coffee table with three drawers inspired by Rhys Coffee Table from Pottery Barn. If your gut feeling tells you to engage in this table project, then you are not wrong because the table will provide more storage space while maintaining a good look for your coffee breaks. If you want a coffee table for storage and other purposes, then a sturdier structure would serve you well. The sturdy coffee table is fantastic for supporting denser weight as well as showcasing attractiveness. 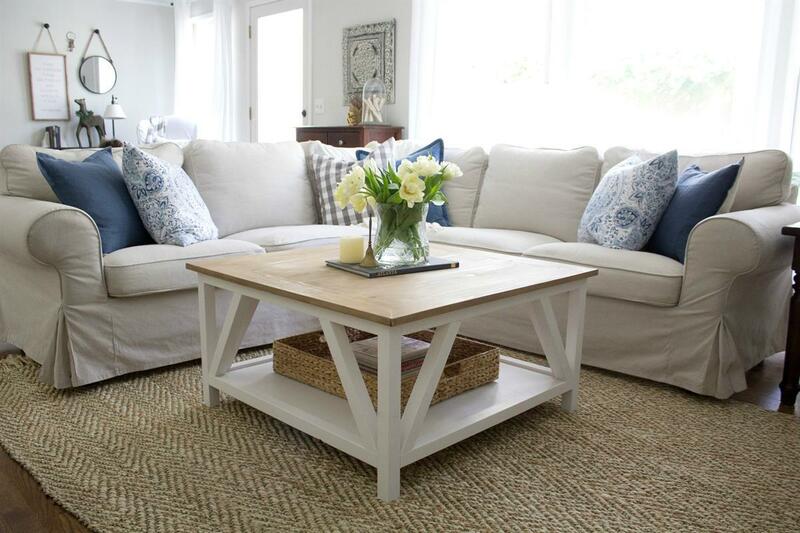 This coffee table plan by Pottery Barn’s Benchright Coffee Table is a hotshot. Simple, but colorful, you’d be impressed with the contrasting effect revealed by the top and the main body. 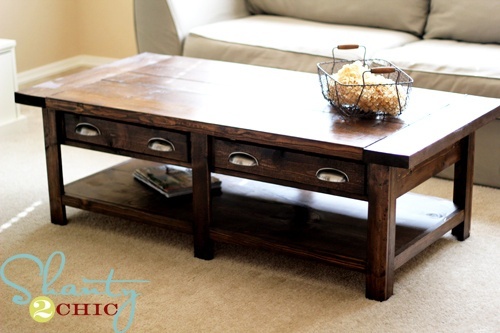 You will enjoy making this gorgeous coffee table that’s easy to make at an affordable price. If you’re looking for something fancy and stylish, then you’d need something a bit more costly like the Origami coffee table. The table looks very good though. It’s a novel structure that would capture the attention of anyone who enters your room. If you want to indulge your creative self, then this table is the right choice for you. 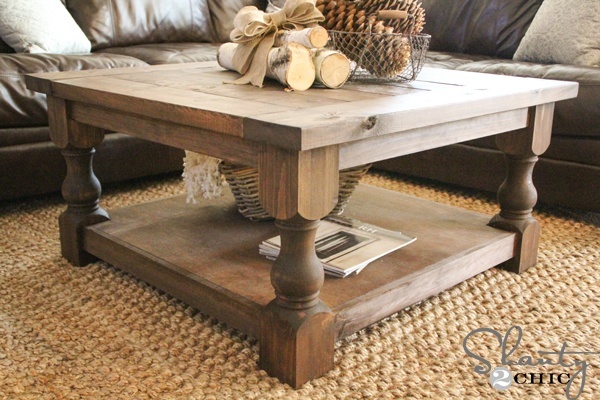 Cherished Bliss provides a coffee table plan that adapts to a rustic, modern farmhouse style space. This is a good project for beginners with its list of materials, diagrams, cut, images and instructions. Even the finishing is easy because of the detailed instructions. 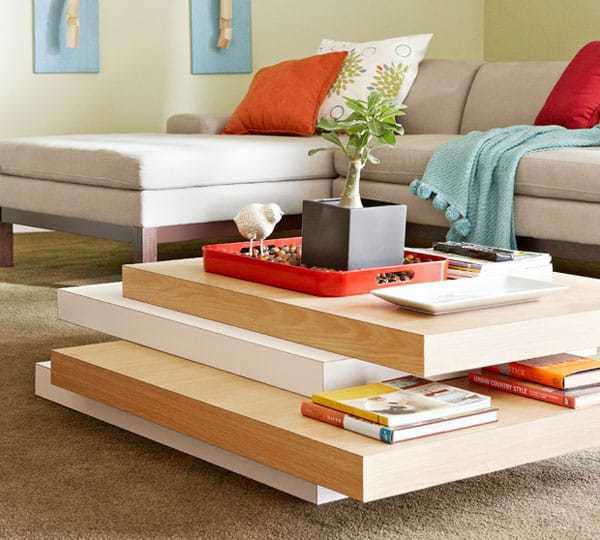 If you’re someone who loves modern pieces, then the stacked coffee table is the right project for you. While it costs a bit more than the other projects, it lives up to expectations with its almost flawless appearance and appeals. 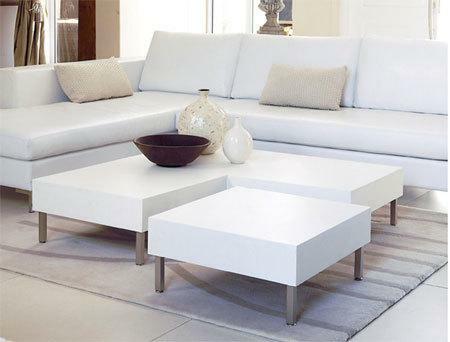 It is the ideal coffee table for the contemporary household that wants to add beauty and vibrancy to the home. DIY Huntress’ coffee table plan is an exquisite artwork. Its geometrical design makes it stand out from other designs. The Harpin legs that support the table make it easier for you to construct and complete the project. If you have a small space at home that requires structural versatility, then a modular coffee table would help you adapt to particular space inside the house. You can take a modular coffee table anywhere you want the conversation to be and not only would it fit in but also look pretty. 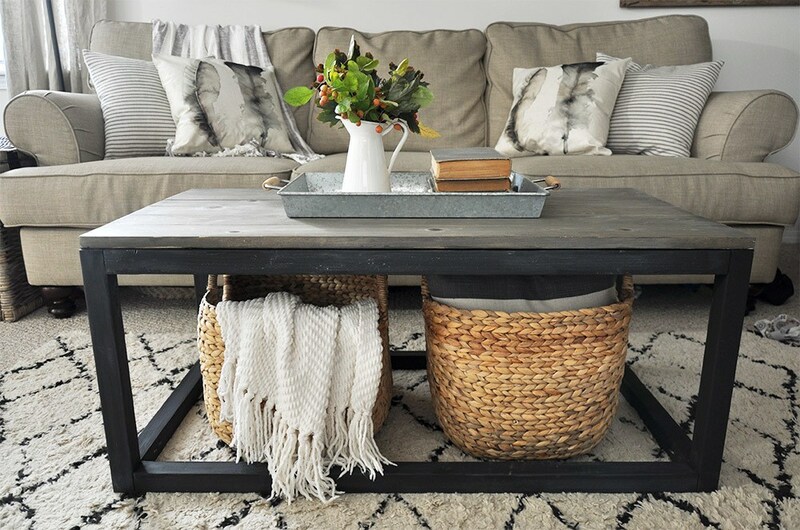 This DIY modern farmhouse coffee table plan from Marie Designs features a square two-toned table that fits in perfectly well within the sectional. You will find a materials list, tool list, cut list, parts, diagrams, and simple building instructions in the plan. The Corona coffee table reveals how a splendid Scandinavian interior design can be painted white to create a beautiful piece. This wooden coffee table is made from sturdy materials and, therefore, lasts longer than other tables. Because of its structure and toughness, the table can be used for different reasons. 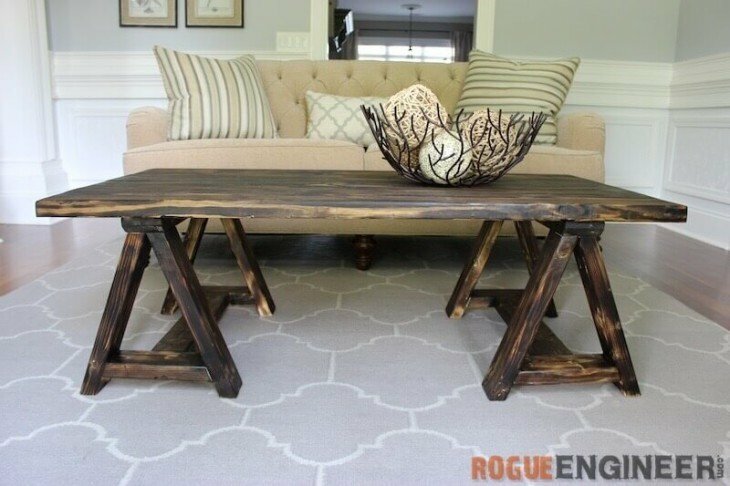 This DIY Industrial style coffee table is built from wood and has two color stains, giving it a metallic look. It comes with written a supply list, colored photos, and written instructions. But the best part is that you can easily construct this beautiful coffee table at an affordable price. 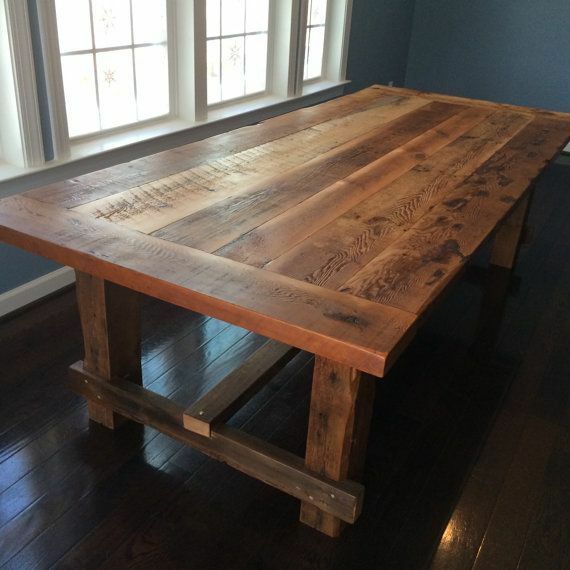 Wood, like wine, tends to gain better character and quality over time. The elements such as wind, snow, and rain can transform the texture and porosity, making it more attractive when converted into a table piece. The uniqueness and attractiveness of this coffee table is the reason why you should have it. If simplicity is what you’re looking for in a coffee table project, then this plan from Paper & Stitch is a godsend. 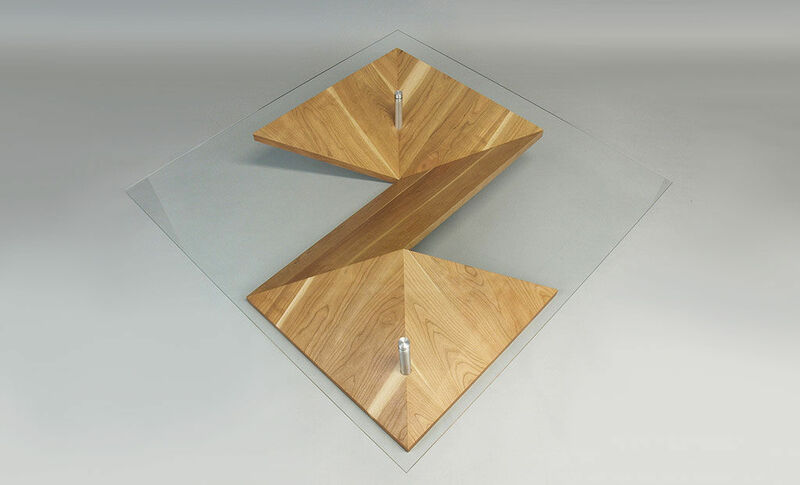 While the coffee table itself is easy to construct, the result will showcase a modern design with many uses. 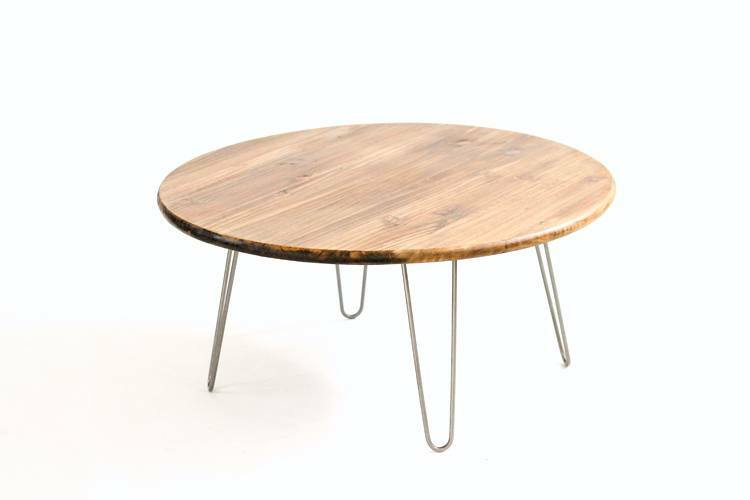 The hairpin leg is considered one of the more modern coffee table designs. And the plan is easy to construct - just put a segment of beautifully textured wood to a set of hairpins. That would serve as your coffee table’s designer segment. This coffee table is also more lightweight compared to other varieties. 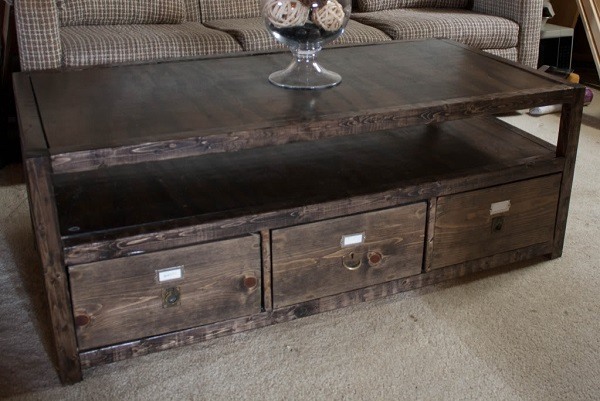 You can easily transport the coffee table from one area of the house to the next. If you’re looking for a truly rustic coffee table, then this coffee table plan won’t disappoint you. 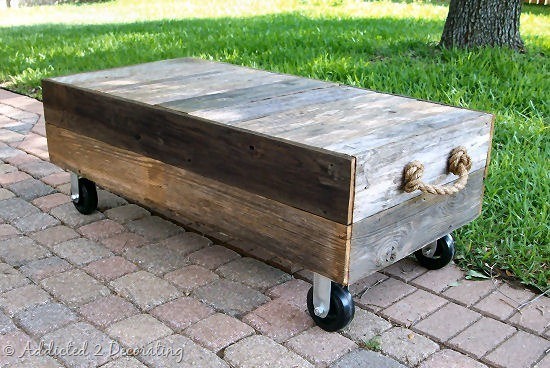 Besides the classy look, it also comes with rope handles and wheels for easy transport. The instructional manual comes with colored images, making the coffee table’s construction easy to do. This fantastic table plan will easily build you a beautiful rustic wooden coffee table at a budget. You’d be amazed at the ease the plan provides with its construction instructions, materials list, diagrams, and colored images. This free coffee table project promises a gorgeous mahogany coffee table of Scandinavian design. With the mahogany wood providing not only excellent durability and work ability but also texture, this plan is ideal for crafting coffee tables. The plan has everything you need – from materials to instructions – to create a beautiful coffee table in no time. 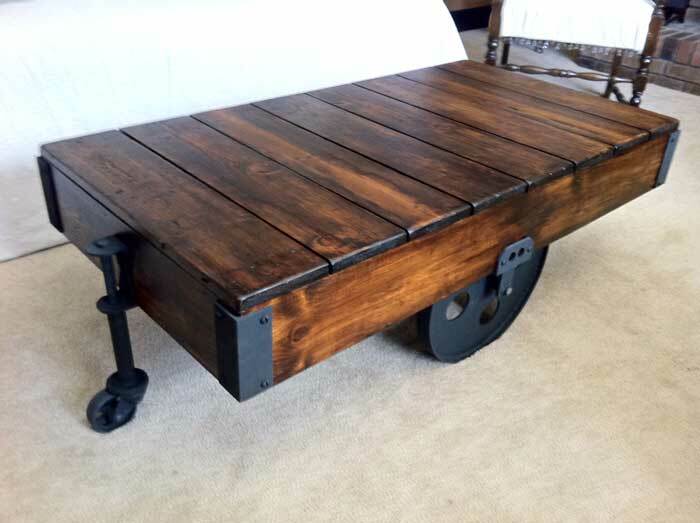 You will be happy to have the DIY Factor Cart coffee table in your home. Built with wheels, you can easily transport it to whichever area inside the house. It would appeal more to your friends and family once they discover that you made it yourself. You’d find the building directions easy to follow because of the colored photos and diagrams. If you have an affinity for the arts and crafts, then the Rockler Coffee Table Plan would activate your creative side. With step by step instructions, colorful images, clear diagrams, and complete materials and tools list, building this crafty coffee table would be a breeze. From different website related to the coffee table, you can download blueprints for this table that involves everything you consider important and need to build it. Mission style furniture are an all-time favorite so I won’t be surprised if this free coffee table plan would be among your top choices. Aside from its unique design, the plan also comes with an easy-to-understand construction guide complete with material lists, tools, procedures, and blueprints that makes construction easy. 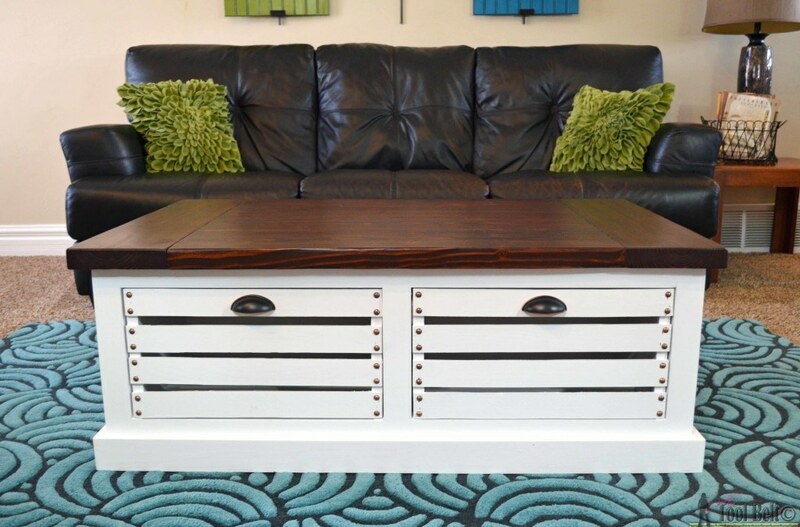 What could be a better coffee table plan than one with 3-drawers? If you’re into plans that offer more than they promise, then this DIY coffee table with drawers is for you because it comes with ideas for end table and matching console. This beautiful table is highly recommended for the urban home. 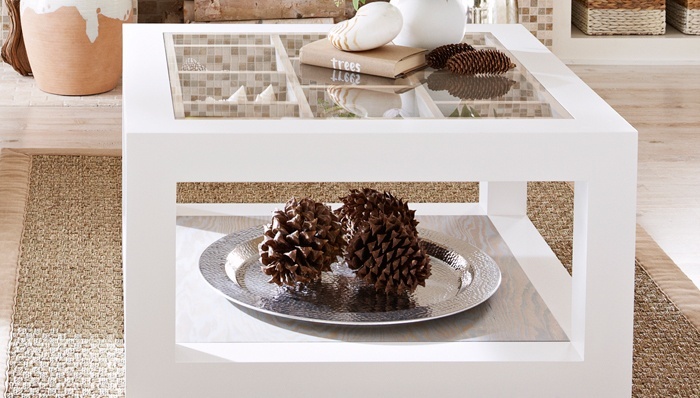 The Oak Contrast Coffee Table is quite useful for its size because it’s small enough to fit in your limited space. In fact, you can put it anywhere inside your house as long as there is enough space for its small frame to fit in. Constructing the piece won’t be difficult because of its step-by-step building procedures, diagrams, materials and tools list, and photos. As its title implies, this Coffee Table from Workbench Magazine contains plenty of space for ottomans or baskets underneath it. This table plan is available with a free downloadable PDF containing everything you need from tools and materials list, instructions, diagrams, and photos. This 2x4 coffee table plans is probably one of the easiest plan on the list. 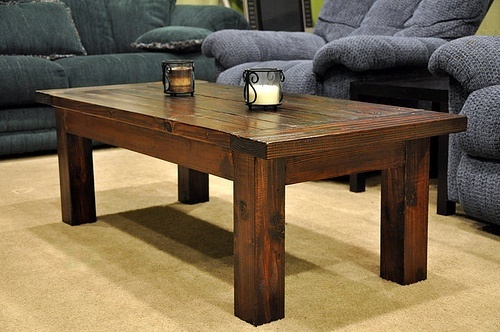 All you need to build is a rectangular 2 x 4 ft. coffee table. Small but sturdy, it would fit into your space and prove useful for long period. The tool list, cutting list, and construction procedures are as simple as the design. How to Find the Right Coffee Table Woodworking Project ? 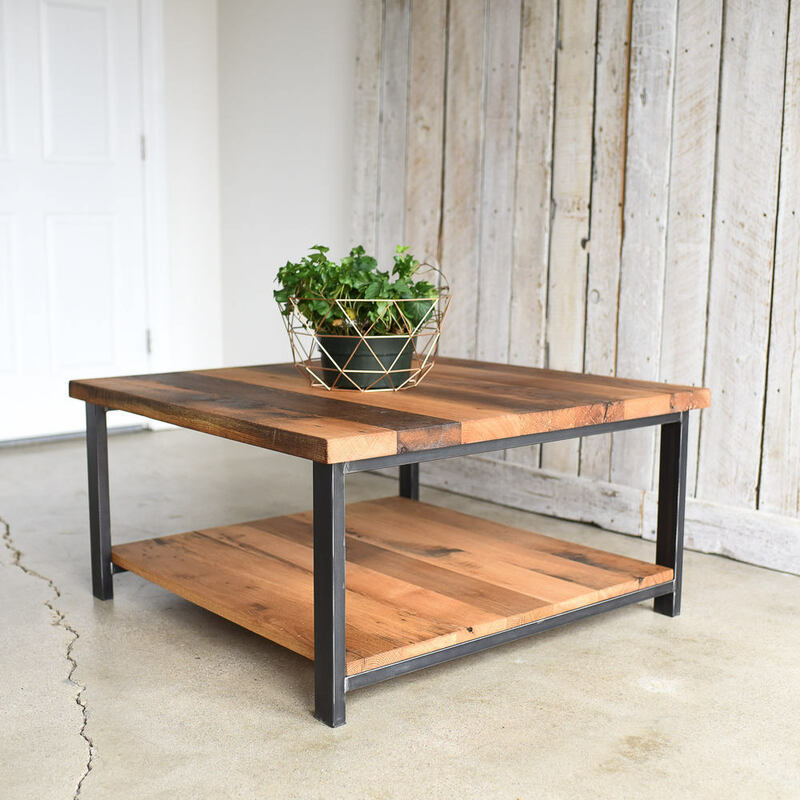 There are different kinds of coffee table woodworking projects available in the market today, and it would make your search for the right plan a bit tricky. To find the right plan for you, you need to focus on design, the time it would take to finish construction, lifespan, and your budget. The space between your coffee table and other furniture inside your space is of considerable importance. The coffee table should fit into your space so that the distance between it and the sofa and other furniture is sufficient. You must be able to reach out to a hot beverage with ease and not adjust the distance every time you do so. The size of your coffee table will depend on two things – the sitting arrangement and room size. The table’s height is crucial and should not be below 1 – 2 inches from your sofa’s height. The size and height must be right such that you and guests can easily reach for the plates and glasses. 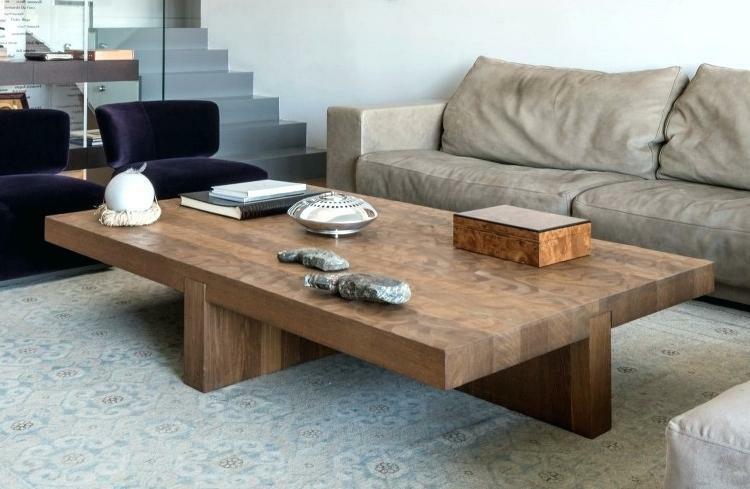 If you have an L-shaped or large size sofa, a rectangular coffee table would be great. If not, and your sitting arrangement is a bit compact, then a square coffee table would be more appropriate. If you have children at home, especially toddlers or infants, it would be safer to get a round coffee table. Your coffee table should match the style of your furnitures such as sofa and interior design. There are a lot of styles to choose from – rustic, modern, vintage, glass top, etc. 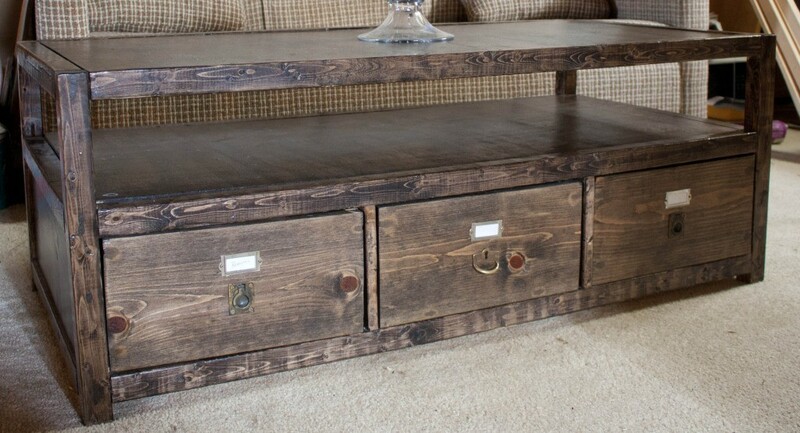 This DIYo coffee table with hidden storage would make your interior look modern. The coffee table’s purpose is a major consideration. If you’re going to keep decorative pieces, then you must have some storage space. 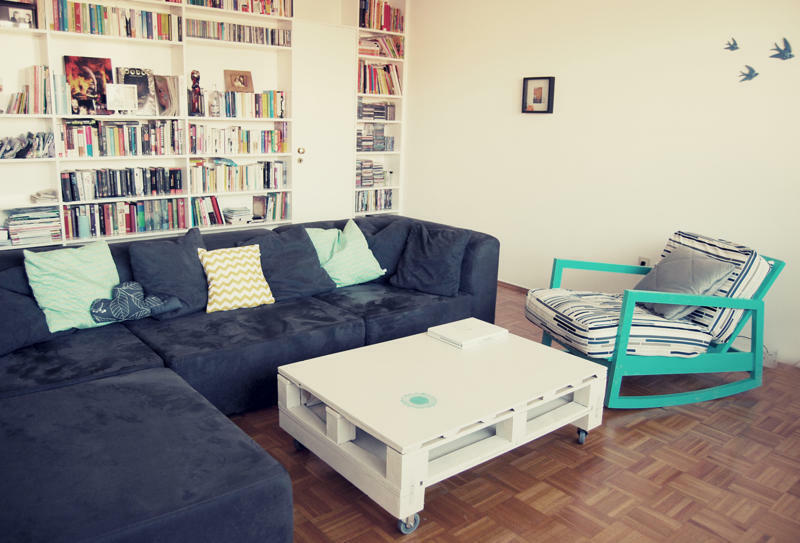 Coffee tables with shelves and drawers are good for storage. If you’re not interested in storage, then a simple designer piece would do just fine. 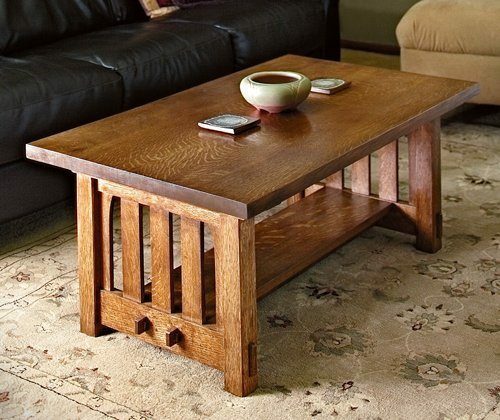 We hope you liked our 40 Beautiful Coffee Table Woodworking Projects list. Among the 40 coffee table plans, which one is your favorite? Feel free to share your thoughts in the comments. And don’t forget to share this post to your folks.